I recently came across Pure African Marula Oil which the beauty giant Sephora describes as a “multifunctional antiaging premium facial oil to hydrate, protect, and rejuvenate the skin.” While the description alone is enticing, the fact that it originates from Africa fostered my interest to learn more about Marula Oil. This post is not to deter the significance of the oil as many have stated that it is ideal for nourishing the skin. But in my mini research, one question that kept coming to mind is who is really benefiting from the sale of Pure African Marula Oil? While I wholeheartedly suggest you do your own research about the oil, to me, it seems strange that the people or sites selling the oil are mostly in the West, also like a form of colonization again, but this time via the sale of products originating from Africans. Maybe I am thinking too much, but anyways here’s my research. 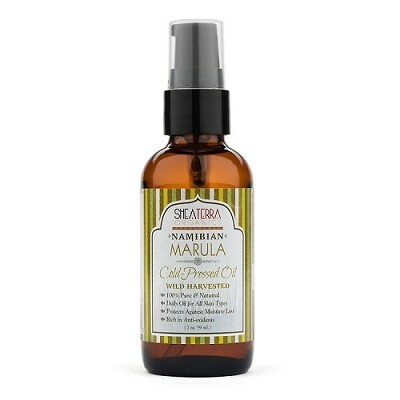 Sephora suggests that “premium Marula Oil is a naturally soothing treatment that provides intense hydration, protection, and rejuvenation to reduce the appearance of fine lines and wrinkles for soft, radiant skin.” You can get it at their site for $58. Birch Box describes it as a rich, quick-absorbing oil sustainably harvested by women in East Africa. In fact they stated that “this newcomer to the world of oils is gaining serious momentum. Prized by African women for eons, marula oil comes from the fruit of the marula tree and is prized for its anti-aging powers: it has higher levels of antioxidants and omega fatty acids than its more well-known competitors. Its benefits are two-fold: first, it protects your skin against the damaging free radicals that accelerate aging. Next, it visibly reduces the look of existing wrinkles, from pesky crow’s feet to the parentheses marks framing your lips. Plus, we love the gorgeous glass bottle and handy pipette dropper that lets you dispense the exact amount you need every time.” When it is available, you can get it for $78. Then there is Shea Terra Organics, a website based in Virgina that specializes in introducing Africa’s time-tested ingredients to the world. 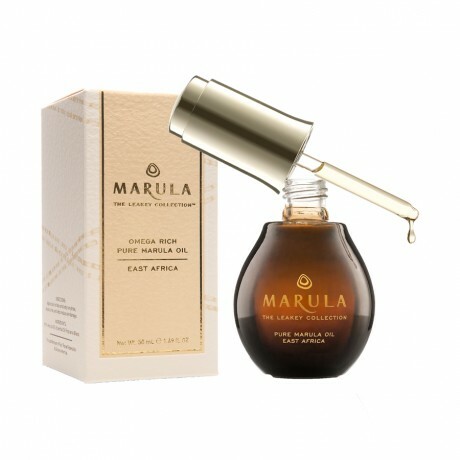 They delved deeper on Marula with the following: “Growing wild throughout southern Africa, emollient Marula Oil is collected from intoxicatingly sweet marula fruits. Craved by monkeys, elephants and humans alike, these fruits are often made into jams and juices. But as sweet as the fruit is, the real prize for many lies inside. The tough shell of marula’s seed protects the precious oil making those who can’t wait to indulge themselves work very hard for it. Each shell must be crushed by hand using a heavy rock. Once winnowed away, the seeds are sun dried while our Namibian collectors await transport of the seeds to the mill. Once pressed, this precious Marula Oil is flown off to Shea Terra Organics in its most desired virgin state.” You can get it for $21. 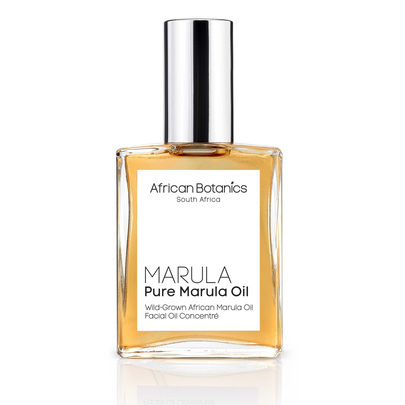 As if this description wasn’t enough, there is African Botanics, a Los-Angeles based natural and skin care/cosmestics company describes Marula with the following:“Pure Marula Oil is a cold pressed, weightless, anti-aging botanical oil sourced from the remote pristine areas of South Africa’s Marula Belt. Concentrated with powerful antioxidants, vitamins C + E that help cells renew, resist and protect against free radical damage. Exeptionally high in Essential Fatty Acids (Omega 9 & Omega 6) that deeply hydrate skin and reduce redness while protecting against the elements. Softens the appearance of fine lines, wrinkles, increases skin elasticity, plumps and revitalizes your complexion.” You can buy the oil for $80. Needless to say, this is not one cheap oil at least in the US and most claim that the sale of the oil truly benefits the women in Africa, the question is how, beyond saying the typical “it provides economic empowerment to the South African women who harvest and process the oil.” I just don’t know and this matters for folks like me who would love to fully embrace the sale of this oil by companies in the West. Personally my mom always said our actions would always speak louder than our words. A simple image of the African women working really hard to produce the oil would do. None of the sites I visited had any. So I am back to burning question from the start: Who does the sale of Pure African Marula Oil really benefit. I am sure you know the answer.